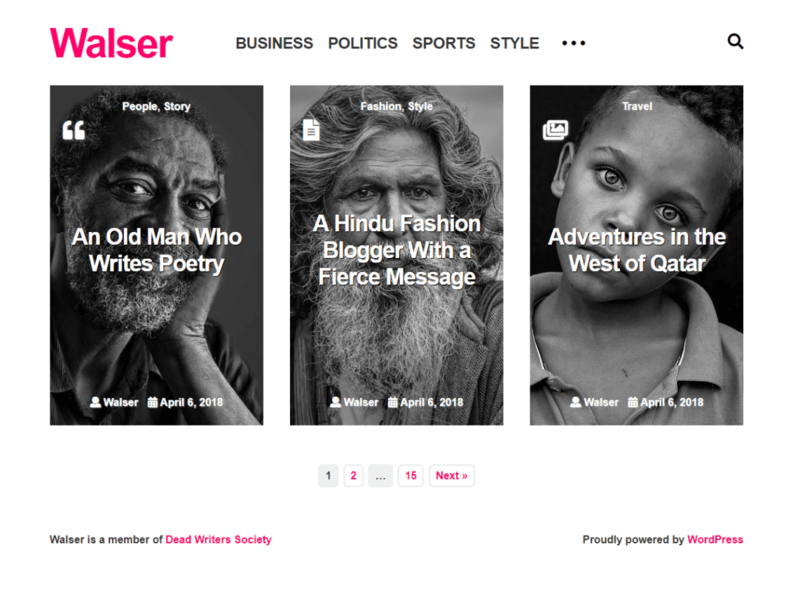 Walser is a minimal and clean designed WordPress Theme that is ideally suited for writing articles in blogs, news and longreads in magazines and other media. Features include Customize Options, Post Formats, Responsive Layout, Custom Logo, Flex Menu, Right Sidebar Widget Area, 3 Footer Columns, Animation Effects, FontAwesome Integration, Translation Ready and much more. Theme is already translated into Belarusian, Russian and Ukrainian languages. It’s simple to configure all you need using Theme Customizer.